You are here: Home / A-Blog / GOP posts text of $1.3T spending bill with shutdown deadline days away. GOP posts text of $1.3T spending bill with shutdown deadline days away. Congressional Republican leaders released the final version of a proposed $1.3 trillion spending bill Wednesday evening, approximately 52 hours before the deadline to avoid a partial government shutdown. 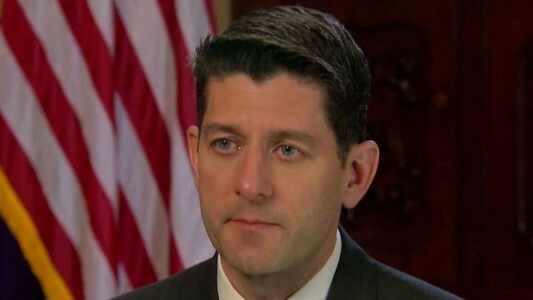 The 2,232 page “omnibus” bill was made public hours after House Speaker Paul Ryan, R-Wis., dashed through a Washington snowstorm to meet with President Trump at the White House amid concerns that Trump’s support for the package was wavering. The White House later said the president backed the legislation, even as some conservative Republicans balked at the size of the spending increases and the rush to pass the bill. The powerful House Rules Committee was scheduled to meet later Wednesday to prepare the bill for debate in the full House. Leaders have said they hoped to start voting as soon as Thursday, but a stopgap measure may be needed to ensure federal offices remain open at midnight Friday when funding for the government expires. “Every bill takes compromise, and there was plenty here, but at the end of the day we Democrats feel very good because so many of our priorities for the middle class were included,” said Schumer. In contrast, the conservative House Freedom Caucus said all 32 of its members would vote unanimously against the bill. Both sides of the aisle have been keen to avoid a repeat of the shutdown in January, which came after lawmakers clashed over the state of the Obama-era Deferred Action for Childhood Arrivals program, which gave protection to illegal immigrants brought to the country as children. DACA was set to expire this month, but that expiration has been delayed by court orders. The bill does not include a DACA provision and also gives limited funding to border security measures that President Trump had pushed for. Trump had called for $1.6 billion for 74 miles of border wall, with an extra $1.1 billion for technology and other assets. Instead, the omnibus appropriates $1.57 billion for barriers along the border, but none of it for the new prototypes he recently visited in California. The money would fund about 33 miles of new construction in the San Diego area and the repair of about 60 miles of existing segments, some that double as levees, along the Rio Grande in Texas. The Associated Press reported that the bill would include an $80 billion bump for the Pentagon, giving Trump and GOP hawks a major victory as it brings the military budget to over $700 billion. The bill also includes the so-called “Fix NICS” measure meant to strengthen the federal background check system for gun purchases as Congress attempts to respond to respond to the deadly assault on a Florida high school and other shootings. The measure would provide funding for states to comply with the existing National Instant Criminal Background Check system and penalize federal agencies that don’t comply. The bipartisan measure was approved in the House, but stalled in the Senate amid concerns by some Republicans about restricting gun rights without due process and complaints by Democrats that it does not go far enough to address gun violence. The spending bill also includes more than $2 billion to train school officials and law enforcement officers how to identify signs of potential violence and intervene early, install metal detectors and take other steps to “harden” schools to prevent violence. The bill states that the U.S. Centers for Disease Control and Prevention can do research on gun violence, though not advocacy, an idea Democrats pushed. The plan also removes a much-debated earmark protecting money for a rail tunnel under the Hudson River, a top priority for Schumer. Trump had vowed to veto the bill over the earmark. However, the project would remain eligible for federal funding, however, and a Schumer aide said it was likely to win well more than half of the $900 million sought for the project this year. Both parties touted $4.6 billion in total funding to fight the nation’s opioid addiction epidemic, a $3 billion increase. Child care and development block grants would receive a huge $2.4 billion increase to $5.2 billion. And an Obama-era transportation grant program known as TIGER would see its budget tripled to $1.5 billion. Head Start for preschoolers would get a $610 million boost, while an additional $2.4 billion would go for child care grants.